Salman Khan reverts to Narendra Modi’s tweet; Will he also share Vivek Oberoi’s trailer on the PM’s biopic? 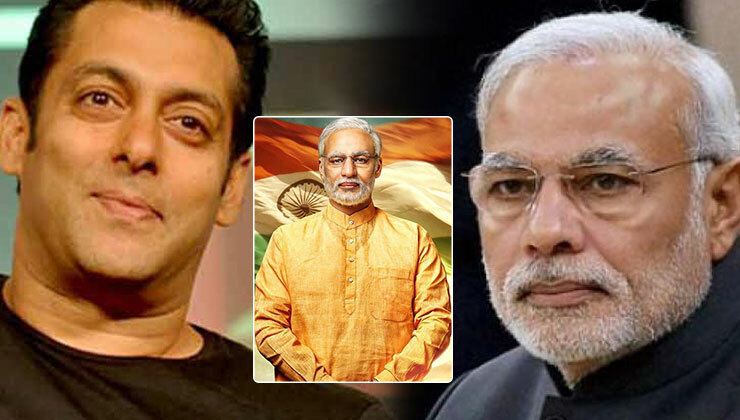 Home Bollywood News Salman Khan reverts to Narendra Modi’s tweet; Will he also share Vivek Oberoi’s trailer on the PM’s biopic? Bollywood actor Salman Khan is a unique personality. He is one actor, who follows his heart and makes films for the masses. The 53-year-old actor is also hugely popular with political parties and as we all know, general elections will begin very soon. Now, PM Narendra Modi had tweeted to many prominent personalities across India and urged them to vote. And participate in the festival of democracy. Salman has finally replied to PM Modi’s tweet and seconded the appeal of the PM. Incidentally, yesterday (March 20) also saw the trailer of Vivek Oberoi starrer ‘PM Narendra Modi’ get released. It’s the biopic on the life of Narendra Modi, which will hit theatres just a week before the elections begin. Considering Salman’s goodwill gesture towards Modi, will we also see him tweeting the trailer of his biopic? And, we all know the acrimonious history between Vivek and Sallu. Both Vivek Oberoi and Salman Khan used to be in a relationship with Aishwarya Rai and then had a bitter fallout. Vivek Oberoi is playing the larger than life character of PM Narendra Modi in his next film. So, will the ‘Dabangg’ star share ‘PM Narendra Modi’s trailer on his social media handle? Interesting dilemma for Salman, isn’t it? Meanwhile, Salman Khan is awaiting his next release ‘Bharat’. The film is being helmed by Ali Abbas Zafar and will release on Eid. Post that he will begin shooting for ‘Dabangg 3’, and once done with that, he will go ahead to work on ‘Inshallah’. Once done with all these he will work on the remake of the Korean film, ‘Veteran’.